The future for Overkill’s The Walking Dead has gone from bad to worse since its release last November, and today things have grown even more grim. Skybound Entertainment, the company co-founded by The Walking Dead’s Robert Kirkman, announced yesterday to IGN that they are pulling their licensing and support from Overkill’s The Walking Dead, published by Starbreeze Studios. “As of today, we have terminated our contract with Starbreeze Studios and will discontinue all efforts on Overkill’s The Walking Dead. Our creators and their stories are the core of Skybound, and since 2014 we have worked hard to expand the world of The Walking Dead into an exceptional Co-op Action FPS. 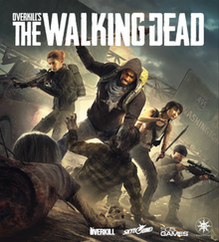 “Skybound, the license holder of OVERKILL’s The Waling Dead, has filed a license related complaint with the main digital distribution platform for the Starbreeze game OVERKILL’s The Walking Dead. As a consequence, the product is expected to be removed from new purchases on Steam within a near future. Starbreeze and Skybound are in discussions about the agreement and Starbreeze is trying to resolve the issue to find an amicable solution with the ambition to finish and deliver season 2 of the game, as previously communicated. This makes for an almost certain end to the unreleased PlayStation 4 and Xbox One versions of the game that console publisher 505 Games recently confirmed were merely “postponed”. If Starbreeze and Skybound somehow come to an arrangement to move forward these versions may still see a release, but right now it doesn’t seem very likely. No dates have been announced at this point to add to the Watch List calendar so for now I’ll just keep checking for the game’s removal from Steam and update when the inevitable happens. When we last got an update on the fate of The Walking Dead: The Final Season back in November, it was simply confirmation that series creator Robert Kirkman’s Skybound Entertainment would bring the final two episodes to release… sometime. There was a lot of behind-the-scenes work “logistically and legally to get us to a place where we’re able to roll up our sleeves and get to the actual work,” Skybound wrote in the November update, but now that work is about to bear fruit. In a post back on December 20th (that I missed until commentor Taven Matthews pointed it out), Skybound announced that Episode 3 of the 4-part final season would debut on January 15th. 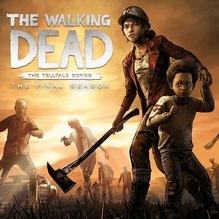 The season pass bundles have since returned to PlayStation 4, Nintendo Switch, and Xbox One, and anyone who bought the game through Steam or the Humble Bundle store will still receive the last two episodes there, but there’s an epic twist for the series’ future availability on PC. Another part of the announcement was the reveal that Skybound had partnered with Epic Games to make the Epic Games Store the new home for The Walking Dead: The Final Season on PC. Hopefully this means the previous seasons of the game will also return to PC as right now they’re still delisted on Steam. Fortunately, all of Telltale’s The Walking Dead titles remain on sale on consoles. Like many fans of the series, I’m a little bent out of shape by the Epic Games twist but I’m happy that the series gets to have its proper final season, or as proper as possible given its tumultuous history. I’ll have the game’s page on the site updated soon to reflect this news. Skybound Entertainment, the multiplatform distributor co-founded by The Walking Dead creator Robert Kirkman, has finally broken their silence on the future of Telltale Games’ adventure series. In a post on Skybound’s blog the team explains that all the work up to this point has been “logistically and legally to get us to a place where we’re able to roll up our sleeves and get to the actual work”. The post also goes on to state that “many of the talented, passionate team members” from Telltale are on board to bring The Walking Dead: The Final Season to completion, and promises release date details soon. There haven’t been any signs of life on Steam yet but we’ll be back with word as soon as we hear it. Unfortunately, Skybound isn’t picking up every Telltale title and more of their older games are likely to join Back to the Future, Jurassic Park, and Tales of Monkey Island which have already been delisted.